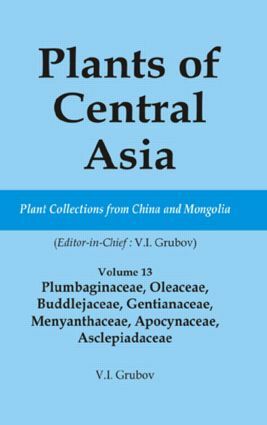 This volume deals with leadwort (Plumbaginaceae), olive (Oleaceae), butterfly-bush (Buddlejaceae), gentian (Gentianaceae), buck-bean (Menyanthaceae), dogbane (Apocynaceae) and milkweed (Asclepiadaceae) families. The book includes 4 plates and 5 maps of distribution ranges. FAMILY 99: ASCLEPIADACEAE R. BR.